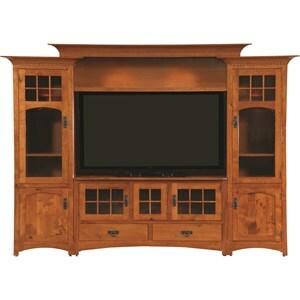 Available in body widths of 87", 92", or 120". The Entertainment Customizable Bourten Hutch Wall Unit by INTEG Wood Products at Saugerties Furniture Mart in the Poughkeepsie, Kingston, and Albany, New York area. Product availability may vary. Contact us for the most current availability on this product.